Sub-freezing temperatures never felt so squid and my fifteen mile jaunt from Rogers Park to North Chicago validated my will to ride accordingly (sidenote: I miss that bike). 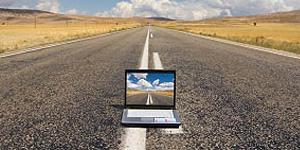 Today, with destinations often crossing state lines, comfort has become a much more significant concern. Switch activated “palm warming technology” simply isn’t enough when riding between the bronzing sun of West Palm Beach, Florida and the chilling fall of Chicago, Illinois. Remember, cold weather riding involves a steep wind chill factor that compounds itself at the twist of a throttle. 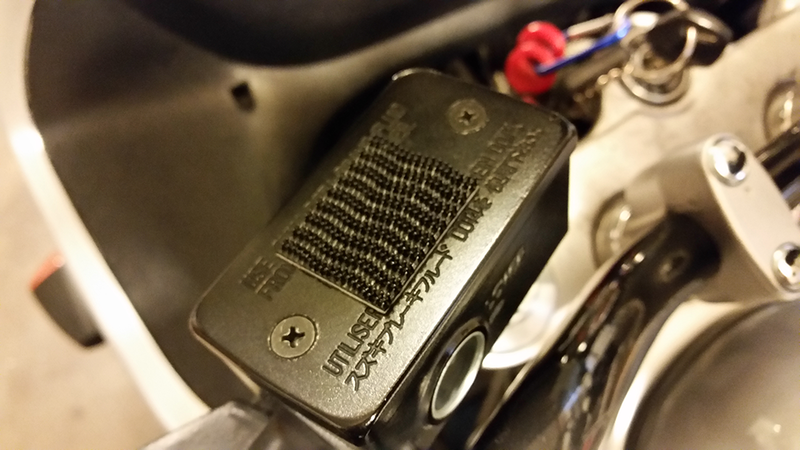 While heated grips certainly help (Hot Grips for ease of installation, Heat Demons for preferred handgrip compatibility), separate components are necessary based on the specific needs of individual riders. Gerbing heated clothing better than answers the call. 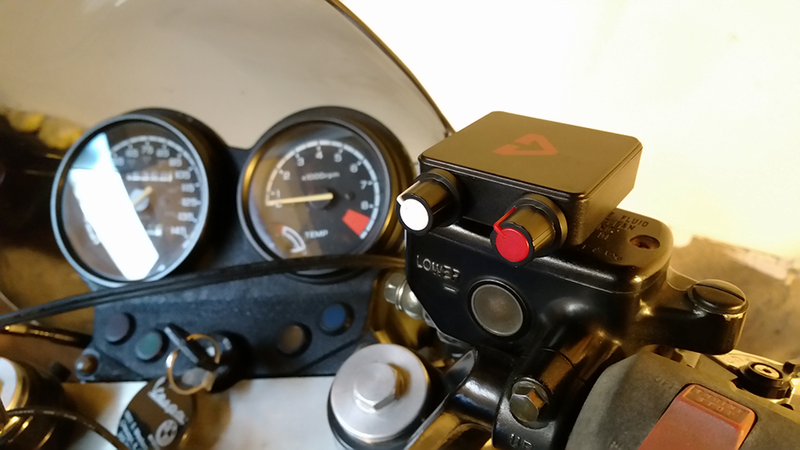 Offering both twelve and seven volt systems, we tested the more standard “running engine”, direct-to-battery coax configuration with a heated vest/glove combo. Gerbing’s vest focuses temperature on the neck/core while their gloves project heat to the top and side of your fingers. Somewhere in Kentucky and with eight hours of riding ahead, I was glad to put their product into action! 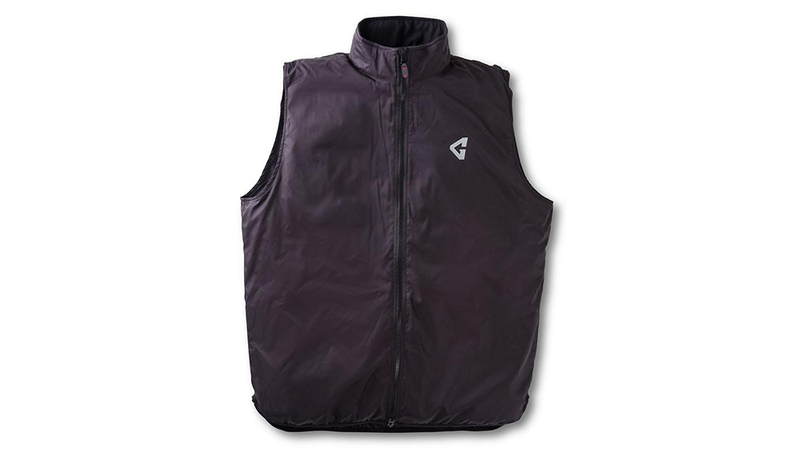 Gerbing heated motorcycle clothing keeps you warm while riding even in the coldest weather. From power to practice, the first thing buyers will notice is that Gerbing heated clothing goes from “not to hot” in under five seconds. They’ve pushed through one obstacle by incorporating stainless steel wire where other manufacturers lean towards copper. 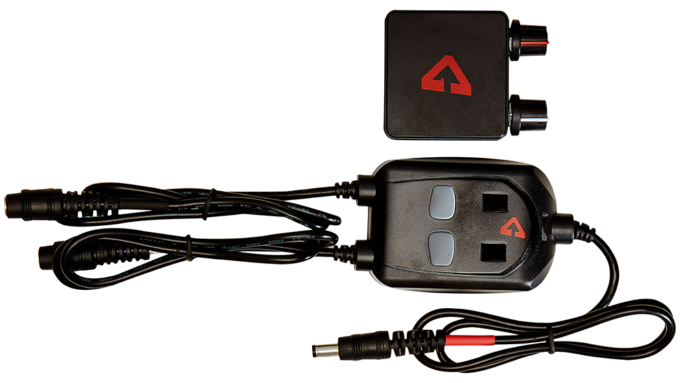 Gerbing’s durable new wiring format conducts heat more efficiently, eliminating the shivering delay completely. Regarding comfort, even though the vest is powerful enough to bake you into a trance, it’s extremely lightweight and unobtrusive when combined with your preferred ATGATT riding suit. 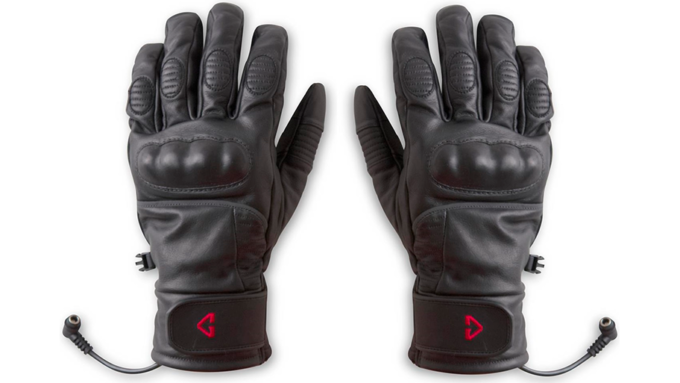 The gloves are equally posh but rigid where it counts, the interior insulation lined with fleece, with a tough leather exterior. I’d consider purchasing both elements even if they weren’t powered. 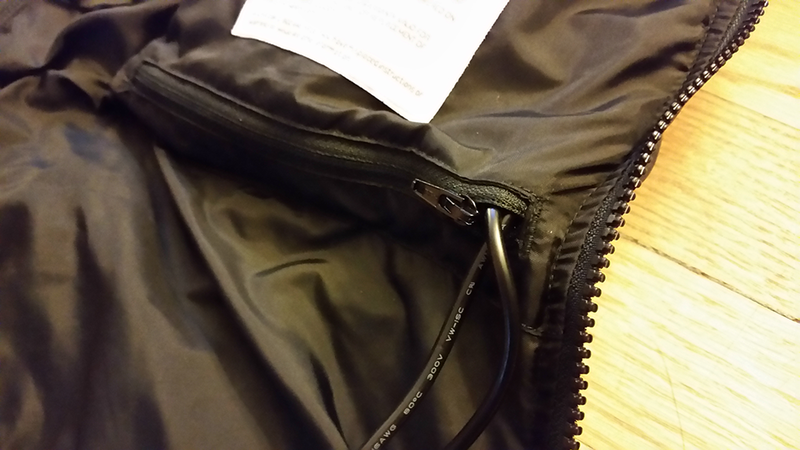 The wiring scheme for Gerbing heated clothing, much like any other heated riding product, has it’s own song and dance. For our setup, a long “Y” connection would be routed through my jacket sleeves to the gloves before being plugged into one of two independently adjustable power outlets on a separately purchased (Gerbing) controller. 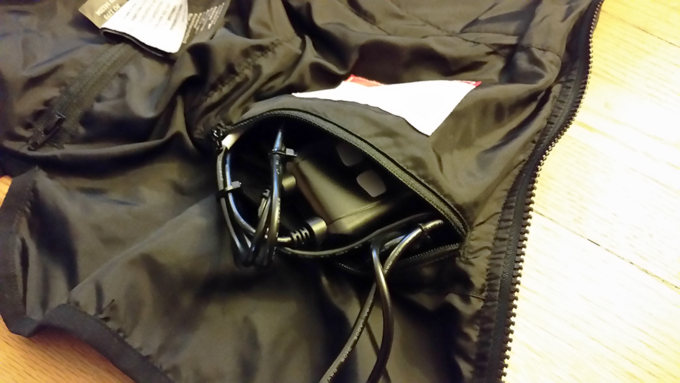 The second outlet on the same controller goes to the vest before all of our wiring is gathered, zip tied into loops and placed into the vest’s lower left inside pocket. Once all of this is organized, it really is a nice/tidy operation. 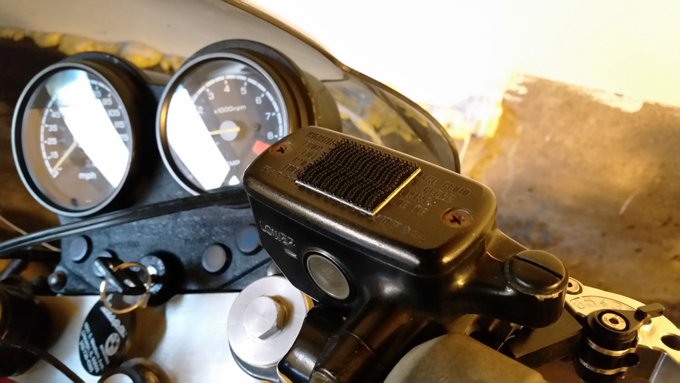 The main power plug connects to the battery-direct coax powerlet port and voila … warm riding! So, why have I stuffed the controller and it’s respective wiring into a pocket? Because Gerbing’s wireless controller offers two portable dials that are preconfigured to connect with and manipulate the pocketed one! Two dual-lock mounting strips with some 3M VHB tape and we’ve got a quick-mount for said wireless behavior that can be transferred from one bike to the next with ease. Now that everything’s installed and we’ve gotten to know the product, it’s plain as day that Gerbing heated clothing stands tall among other brands. 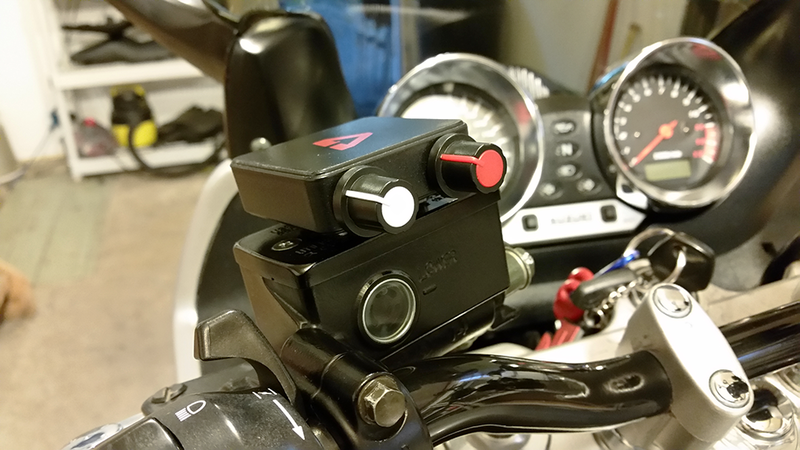 Having wired simple, hassle free powerlet ports into our entire flock, I might not even need to winterize any of our bikes! Getting on, plugging in and rolling out is pretty straight forward. 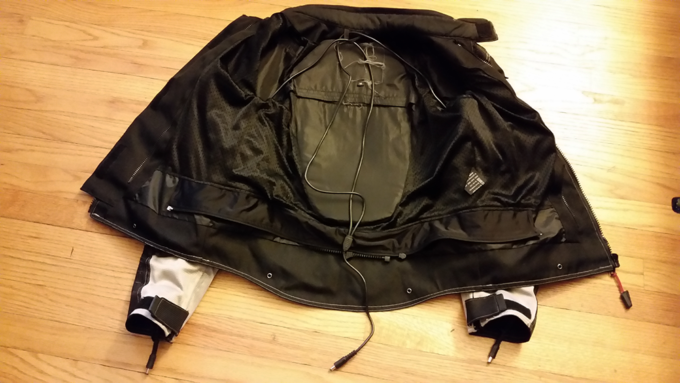 The heat their clothing produces is reliably strong, making my twenty five hundred mile round trip from Chicago to Florida and back significantly more pleasurable. Now the only thing left for me to do … is buy the heated insoles (or maybe the socks). 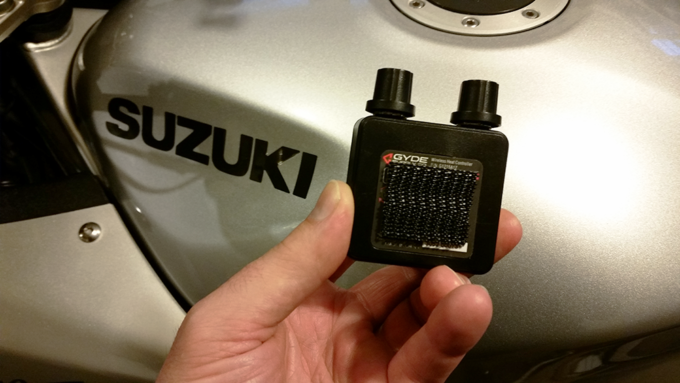 What Heated Riding Gear Do You Use? There are other decent heated clothing products on the market. Which do you prefer? What do you like about it and why? Your input is invited. Post an article!